Life is meant to be enjoyed and the surroundings should add comfort and beauty to one’s life. Wall decor is now centered on the wall hung TVs adding stress as the news and dramas that unfold daily right before our eyes. 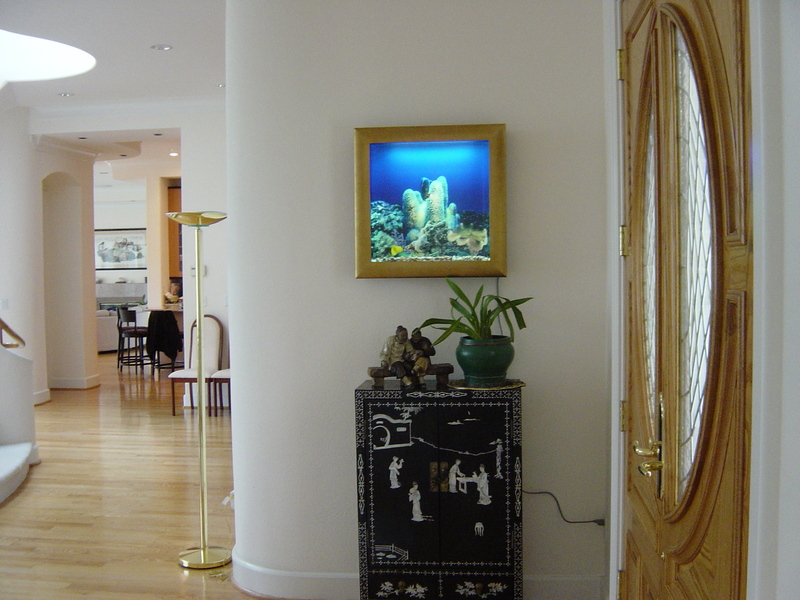 Aquavista has fashioned works of art to please everyone who enters the abode. Time goes by quickly as we watch the clock tick away. It is necessary to take time to turn off the TVs and focus on the simple beauty derived out of life. Art can be found in nature and Aquavista has taken the task of bringing the beauty of water and life into the abode by creating peaceful works of living art. Add new entertainment to the abode’s decor that will also lend comfort to hectic lifestyles. Aquavista has combined elements of Feng Shui to create one-of-a-kind works of fascinating displays that all ages will appreciate and enjoy looking at. Maintenance requires less than 15 minutes per month which is probably less than the time you spend rebooting TV’s and computers. The Aquavista Panoramic is pre-assembled with advanced aquarium technology including special filtration and an automatic feeder. 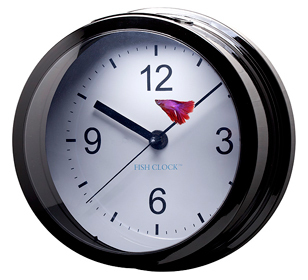 For added fish enjoyment to pass the time, “the Fish Clock hangs on a wall and is a fun and revolutionary way to keep time and to keep your fish healthy. Best of all, it requires only minutes of maintenance per month.” It is simple to hang just add water one Beta Fish. Imagine tanks of beautiful colors and lights decorating the walls. The dream of adorning the room with beautiful fish and low maintenance is now attainable. 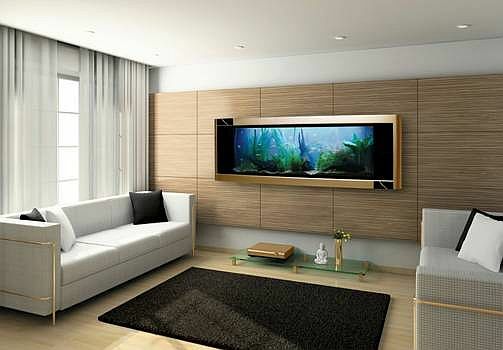 The space saving aquariums will add hours of conversation delight as the beauty of the fish create moving pieces of art to adorn the walls and the abode. The stressful world has people searching for new ways to distress when they arrive home. Using elements of Feng Shui have become an important factor for many when decorating the abode for relaxation. Water is a relaxing element. Fish bowls create a peaceful show with the fish calmly swimming among the plant life in their comfortable home. Fish represents wealth and prosperity. Mix an aquarium into the décor in fun and inventive ways. 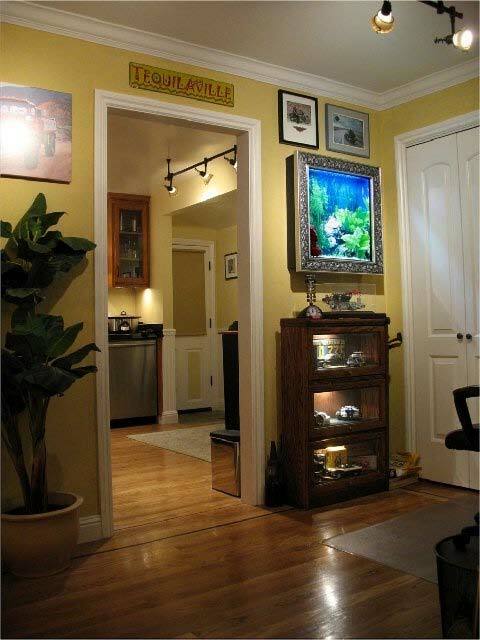 Add artwork around the wall hung fish tank. People will admire the moving art at the center of your gallery wall. Create a headboard using the wall hung fish tank. Sleep peacefully with the fishes when the lights are turned off. Awake in the morning to a friend to talk to. 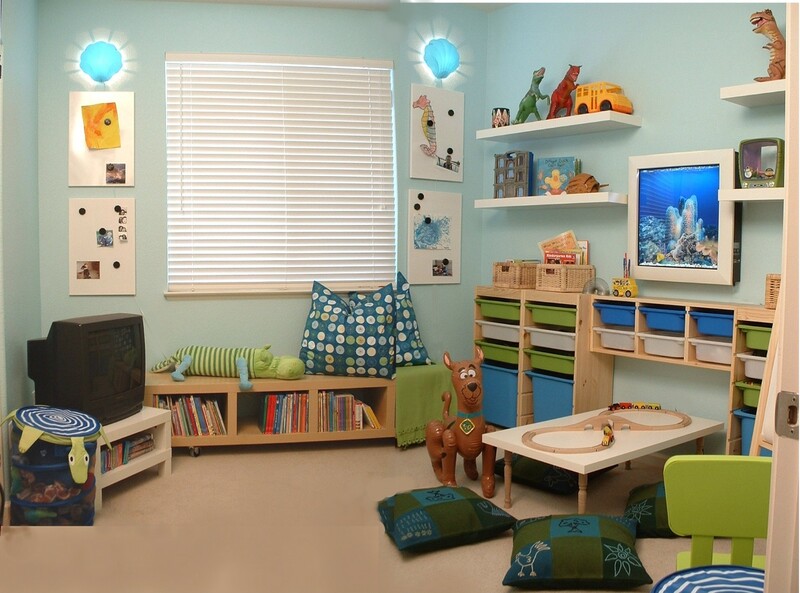 Use the fish tank as a night light for little one’s room to lull them off to sweet dreams. Turn it off when they are comfortably in dreamland. Time will be easier when watching a fish takes the stress off of meeting a deadline, if only for a moment. Relax among the newest “art” additions to the abode. Enjoy the experience that living with the beauty of an aquarium will provide. Show off the newest members of your family and abode as you welcome visitors. Relish the moments of life and never be afraid to dance!